If you’re still saying, “Big data isn’t relevant to my company,” you’re missing the boat. I firmly believe that big data and its implications will affect every single business — from Fortune 500 enterprises to mom and pop companies— and change how we do business, inside and out. It doesn’t matter what field you operate in or the size of your business; as data collection, analysis, and interpretation become more readily accessible, they will have an impact on every business in several important ways. 1. Data will become an asset to every business. Even the smallest businesses generate data these days. If the business has a website, a social media presence, accepts credit cards etc., even a one-person shop has data it can collect on its customers, its user experience, web traffic, and more. This means companies of all sizes need a strategy for big data and a plan of how to collect, uses, and protect it. This also means that savvy businesses will start to offer data services to even very small companies. It also means that businesses and industries that never thought big data would be “for them” might be scrambling to catch up. Let me just make this as plain as possible: If you own or operate a business, and you have questions about how to improve that business, you have data, your data is an asset, and it can be used to improve your business. Simple as that. 2. 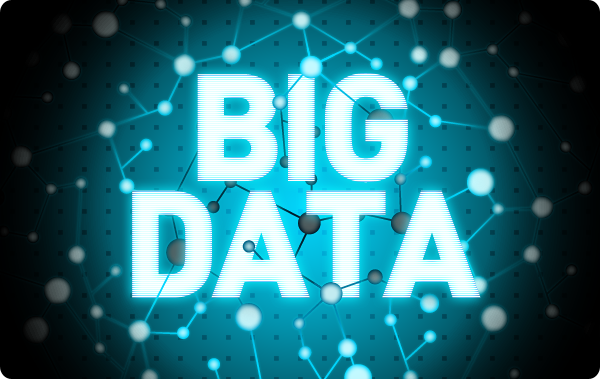 Big data will enable companies to collect better market and customer intelligence. Like it or not, the companies you do business with know a lot about you — and the quantity and diversity of what they know about you is increasing every year. Every company (from car manufactures who will monitor our driving to tennis racket manufacturers that know how often and how well we play) will get much better insights into what customers want, what they will use, what channels they use to buy, and so on. Technology is a collection of techniques, skills, methods and processes used in the production of goods or services or in the accomplishment of objectives like scientific investigation and it can be a knowledge of techniques, processes, etc. and it can be embedded in machines, computers, devices and factories which can be operated by individuals without detailed knowledge of the workings of such things. Science is a reasoned investigation or study of natural phenomena which is aimed at discovering enduring principles among some elements of the phenomenal world by employing formal techniques such as the scientific method whereas technologies are not usually exclusively products of science because they have to satisfy requirements like utility, usability and safety. Engineering is a goal oriented process of designing and making tools and systems to exploit the natural phenomena for practical human means often using results and techniques from science and the development of technology can draw upon many fields of knowledge including scientific, engineering, mathematical, linguistic as well as historical knowledge to achieve some practical result. It is often a consequence of science and engineering and technology as a human activity precedes the two fields and this new found knowledge may then be used by engineers to create new tools and machines like semiconductors, computers and other forms of advanced technology. Scientists as well as engineers may both be considered technologists and the three fields are often considered as one for the purposes of research and reference. It is properly defined as any application of science to accomplish a function and the science can be leading edge and well established and the function can have high visibility or be significantly more mundane but it is a technology and its exploitation is the foundation of all competitive advantage. Technology based planning is what was used to build the industrial giants and it what was used to transform any country into a superpower and it was not economic based planning. Luke Lonergan is a professional developer and marketer.